Ibiza is known as the party loving Balearic Island, home of the all-night rave and relaxed beach lifestyle, but there is more to this beautiful white island than just hedonism. The population of Ibiza is around 133,000 people but it welcomes 6 million tourists every year. Many are attracted to the fun loving nightlife but there are also many people from around the world who are drawn to the natural delights and ancient history of this pine clad, sun-drenched Spanish island as well as the relaxed environment of a luxury villa in Ibiza. Step off the beaten track and discover some of the many hidden coves that the island has to offer or wander round the Unesco listed Dalt Villa in Ibiza Town, to take a trip back into Ibiza’s past. The Balearic Islands rose from the ocean around 8 million years ago, at the end of the Tertiary era. 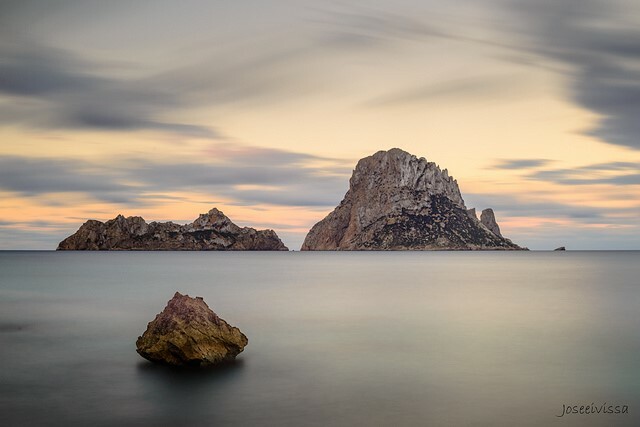 Ibiza was first habited around 5000 BC, and is also home to the mystic island of Es Vedra, which is currently uninhabited, perhaps because it is rumoured to be where the sirens lured Ulysses in Homer’s Odyssey and also the birthplace of an Ibizan goddess called Tanit. Es Vedra is a limestone rock island just 3km off the Ibicencan west coast and is apparently the third most magnetic spot globally after the Bermuda Triangle and the North Pole. Navigational instruments stop working around this small island, and there have even been rumours of UFOs in the area. It’s a popular spot for meditation and natural healing, and is close to an Ibizan cave known as the natural cave of Atlantis, which you can hire local guides to show you. The history of Ibiza is extremely rich as it has been conquered many times by cultures such as the Phoenicians, you can see the remains of their settlements at Sa Caleta. Then the Carthaginians used it as a port and went on to build Ibiza Town, they also built Les Salinas for making salt, which was then Ibiza’s richest trading product, known as white gold. Later on Ibiza was occupied by the Romans, where they taught the locals to grow olives, corn and grapes. During the 4th and 5th Centuries the Byzantines and Vandals ruled Ibiza and built the first basilicas on the island. Ibiza was eventually conquered by the Arabs and ruled for 500 years before being recognised as belonging to Spain in 1479 after the marriage of Ferdinand of Aragorn and Isabella of Castile. Pirates had targeted Ibiza for centuries so they built watchtowers around the island to keep a lookout for pirates and then warn the population so that they could hide in fortified churches, many of which are still around the island. The Ibicencan people formed their own pirate forces to protect their island and fight against pirates, one of the most famous of these pirates was Antonio Riquer Arabi, who was honoured with the Corsair Obelisk that is famed as being the only pirate statue anywhere in the world. 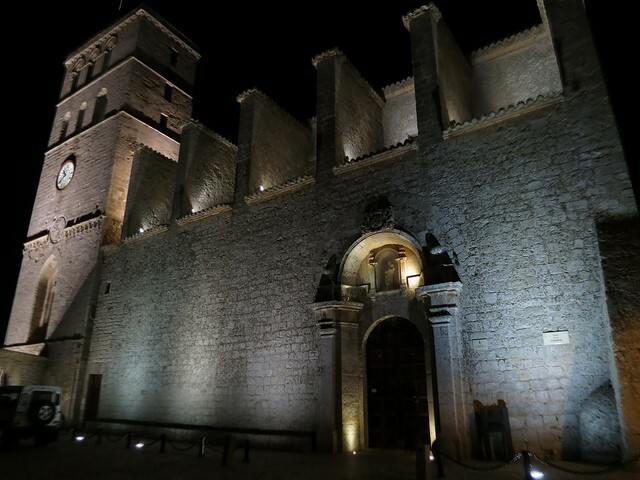 There are archaeological and ethnography museums and art galleries where you can look at artefacts from ancient Ibiza and examples of modern and antique Ibizan art. When you book a luxury Ibiza villa, you have a fabulous base from which to explore this mesmerising Balearic Island. There is much more to Ibiza than meets the eye.